Quickly after the Pierrefonds competition held on December 1st and 2nd, 2017, Thierry sent us his column. “The greatest thing about performing close to our home is that we see many people we know who come and encourage us.” According to the skater, the event went by quickly, with 2 days, including travel. “We are first of the 11 couples present. This is our first national gold medal” he says with pride. 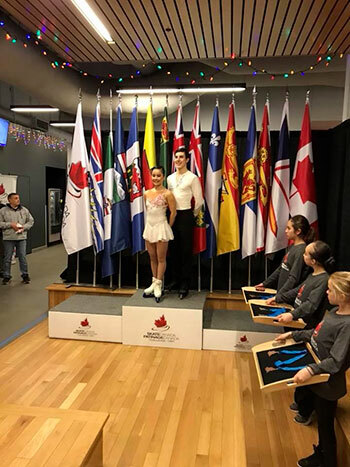 “… a Skate Canada reporter came to us for post-competition impressions, and we found that our English skill is something we need to improve.” But there was more accurate skills the skaters wanted to improved. 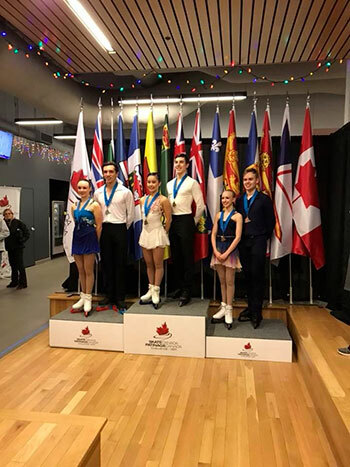 “This competition showed us that we still have to work and refine our programs for the Canadian Championships taking place in Vancouver in January. 2018” The medalist couple seem very motivated for their next event and it is with pride that the Zamboni team continues to support and follow their evolution.